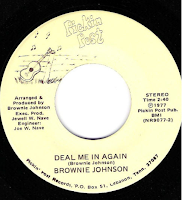 There is very little information on Brownie Johnson on the Internet. 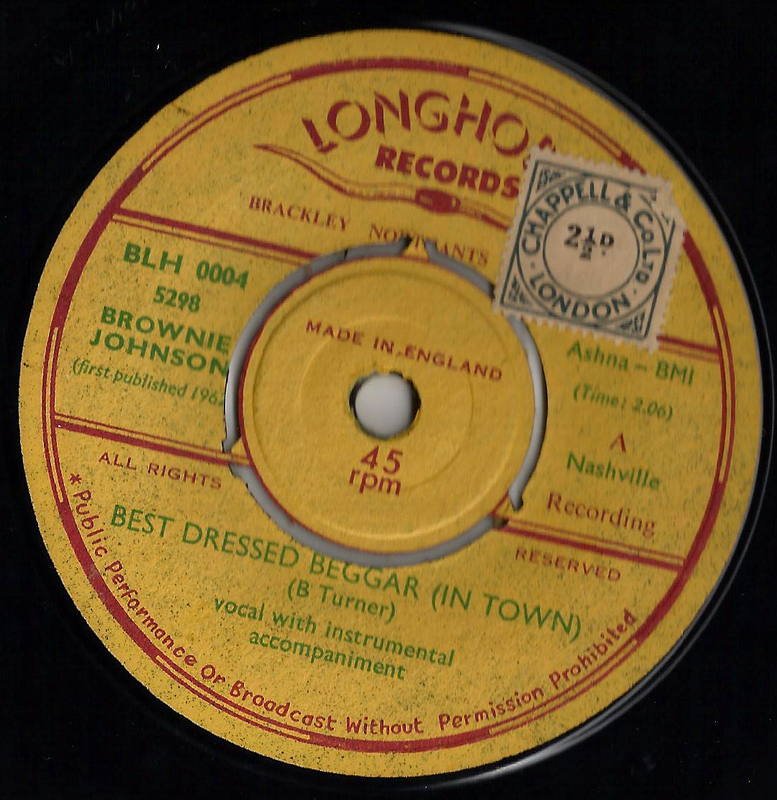 I purchased a 45 rpm single by him 'The Best Dressed Beggar in Town' b/w 'Just Pretending', this is country music in the style of Johnny Cash and Jim Reeves, it was released in the UK in 1962 on the Longhorn record label. 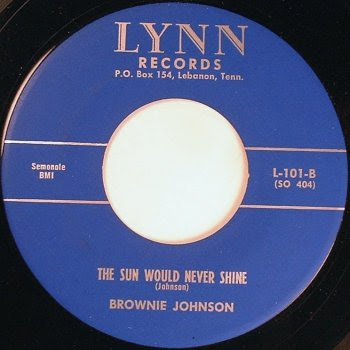 I believe it is the same Brownie Johnson that released 'The Sun Would Never Shine' (a cool rockabilly number) on the Lynn record label in 1958. 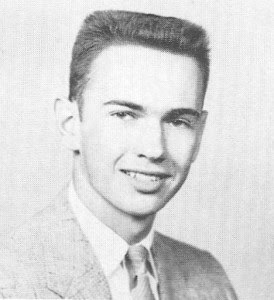 The photo above comes from the 1956 'West End High School', Birmingham, Alabama yearbook. This looks remarkably like the Brownie Johnson on the 'Rock-a-billy Again' LP. But this has been unconfirmed. 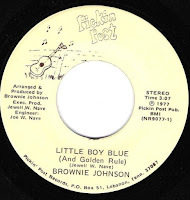 Another release came from 1978, 'Little Boy Blue' b/w 'Deal Me in Again'. If anyone has any more information on Brownie Johnson give me a holler and help me fill in the gaps. (EXPRESS FM 93.7) ON SUNDAY 7th APRIL 2013. If you take excellent musicians from bands such as ‘The Western Aces’, ‘The Radio Ramblers’ and ‘The Westernaires’, what you get is a new fresh sound of honky-tonk hillbilly bop, courtesy of ‘The Doel Brothers’. 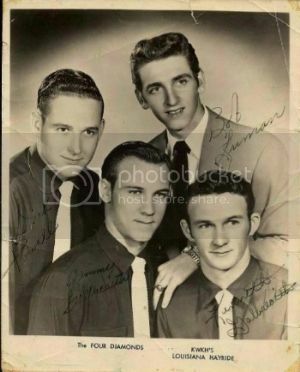 Brothers Gordon, Dave and Tom, along with Radio Rambler Gary (an honouree brother), make up this hot four-piece band. 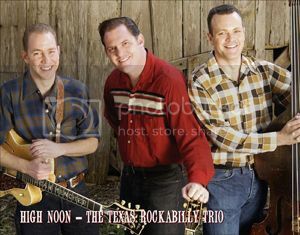 I would describe the band’s musical style as a fusion of the sounds of ‘The Louvin Brothers’ mixed with a sprinkling of Johnny Cash, and a whole lot of T.N.T. 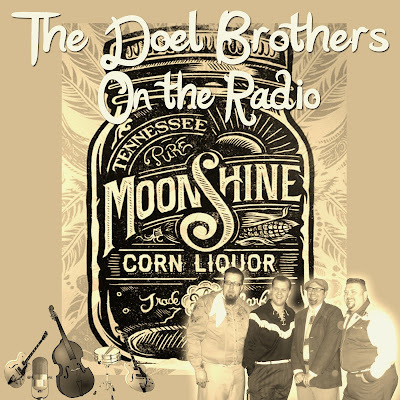 I read on their website that they considered that they played rockabilly music badly and which in turn gives something a little extra to the overall sound of the band. 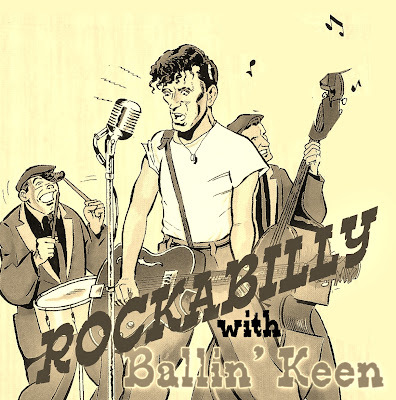 I would not agree fully with that statement; rockabilly music is far better in my opinion delivered to an audience when it is raw and not over-rehearsed. 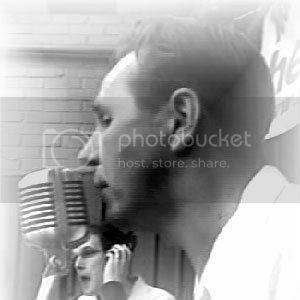 Singing harmony vocals is hard to master, but nobody seems to have told Gordon and Dave that! It must have something to do with them being siblings that make it come so easily to them. The last time I saw them perform they were playing in ‘The Western Aces’ (gone but not forgotten), with Gordon playing lead guitar and Dave on double bass. 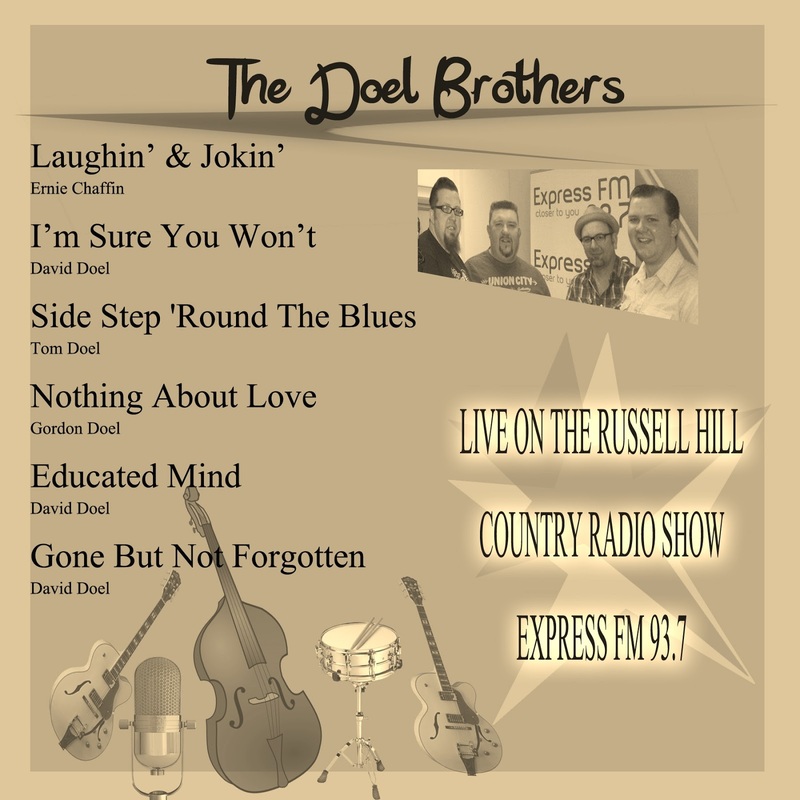 The Doel Brothers line up consists of Dave playing lead guitar and vocals, Gordon on rhythm guitar and vocals, Tom on the drums and Gary on double bass. Not only is the sound from the band of a high quality, but they also write their own material. 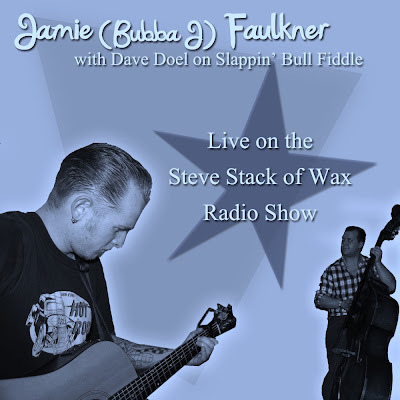 Have a listen to ‘Side Step ‘Round the Blues’, a fine western swing song that could have been recorded in early 1950’s rather than in late 2012 in a Spanish recording studio! 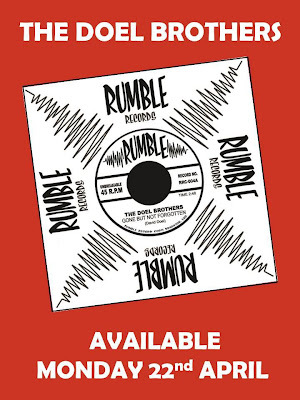 The new CD ‘Oh Brother Here Comes the Doel Brothers’ on the ‘El Toro’ record label will be out in time for the Rockabilly Rave and a 45 ‘Gone But Not Forgotten’ b/w ‘Laughin’ & Jokin’ will be released by ‘Rumble Records’ on April 22nd 2013. 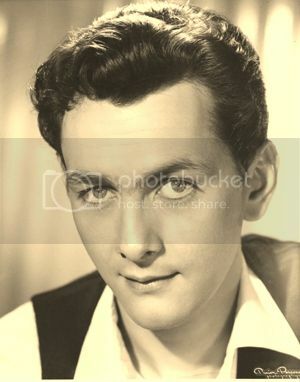 RAY SCOTT - Born on March 26, 1929 in Bicknell, Indiana. Died 1999. 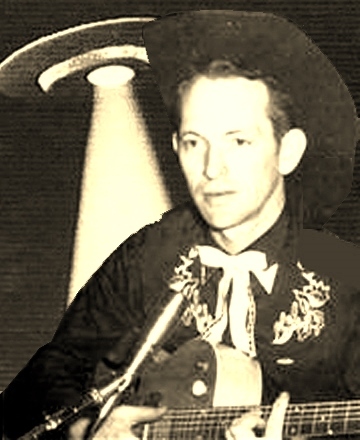 Ray Scott's place in rock and roll history was assured when he penned the song 'Flying Saucer Rock And Roll'. 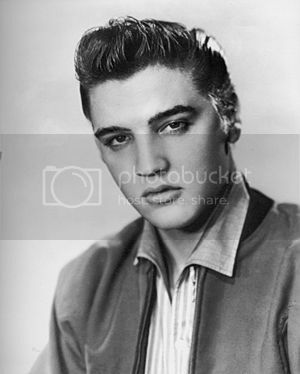 He wrote the song in 1956 and the following year it was recorded by Billy Lee Riley for Sun records. It is believed that Ray recorded a demo of the song for Sun records but as yet it still remains undiscovered. Apparently Ray wrote the song after seeing something odd flying in the sky while driving one day. Inspiration for great songs come in strange ways. 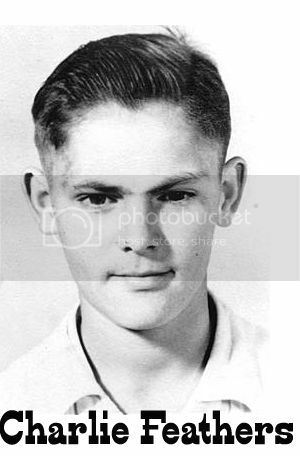 Ray settled in Memphis in the mid 1950's and sent several demo recordings to Sam Phillips. One of his songs, 'Tonight Will Be The Last Night', was recorded by Warren Smith in 1956, although it was not released until the mid 1970's. 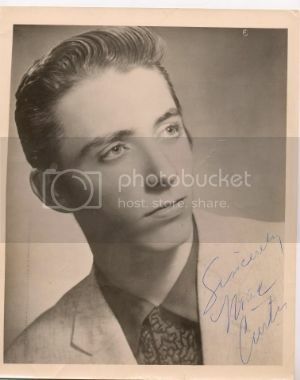 He also wrote 'You're The One That Done It' for Thomas Wayne, his (Wayne's) first record for the Fernwood Record label in 1958. 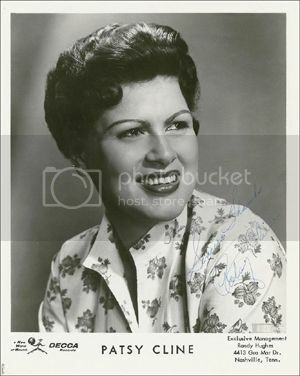 In 1957 he made his first recording as a singer; 'Bopping Wig Wam Willie' came out on the Erwin label in August of that year. 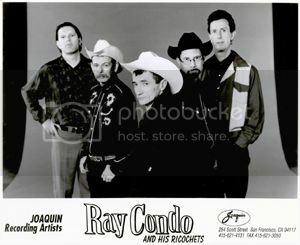 The backing was supplied by Roland Janes (guitar), Marvin Pepper (bass), Jimmy Wilson (piano), Jimmy Van Eaton (drums) and Ray on rhythm guitar. It sounds like the same session musicians accompanied him on his Satellite 104 release 'You Drive Me Crazy', an excellent fast moving rocker, released in late 1958. 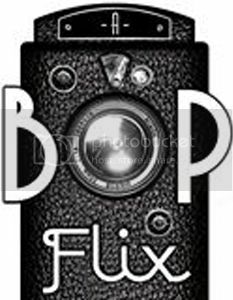 Satellite was then a tiny label that would later develop into Stax Records. 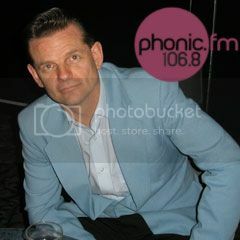 Ray's next release was on the Stomper Time label which was 'Tonite Will Be The Last Time' which is a reworking of the song Warren Smith recorded for Sun. 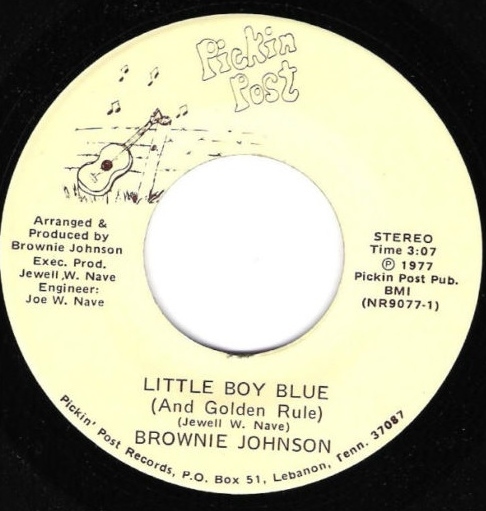 The flip side was 'Boy Meets Girl', also recorded by Dale Hawkins. 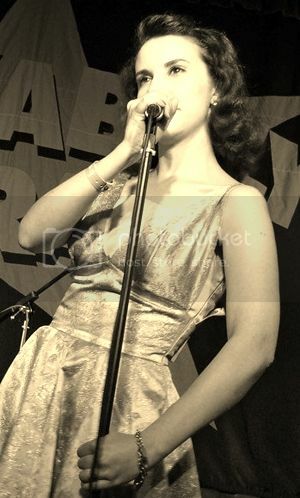 A second record was released in 1960, 'The Train's Done Gone', but that was more or less Ray Scott's last attempt at a rock 'n' roll styled record. 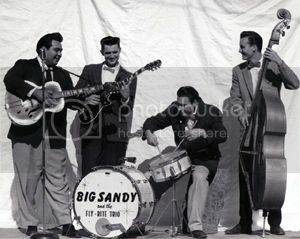 He founded his own record company, RCT Records, for which he recorded country songs, but this only ran for a few years. Disillusioned, Ray retired from the music business in 1971 and started running his own taxi company. 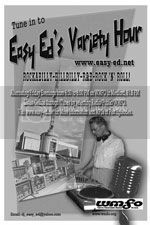 RAY SCOTT - MEMPHIS RECORDINGS INCLUDING SUN UNISSUED ALT TAKES? ON HIS EARLIER RECORDS RAY USED THE BACKING OF 'THE FOUR RECORDERS' THE SAME BAND HOYT JOHNSON USED ON ERWIN. 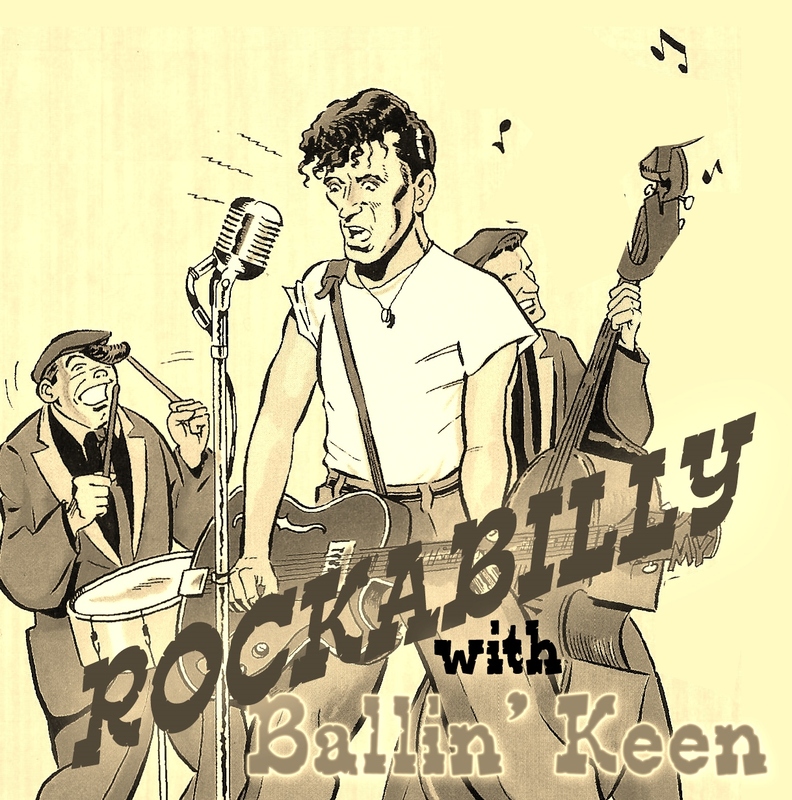 Ballin’ Keen first got together at a jam session at the 16th Rockabilly Rave. 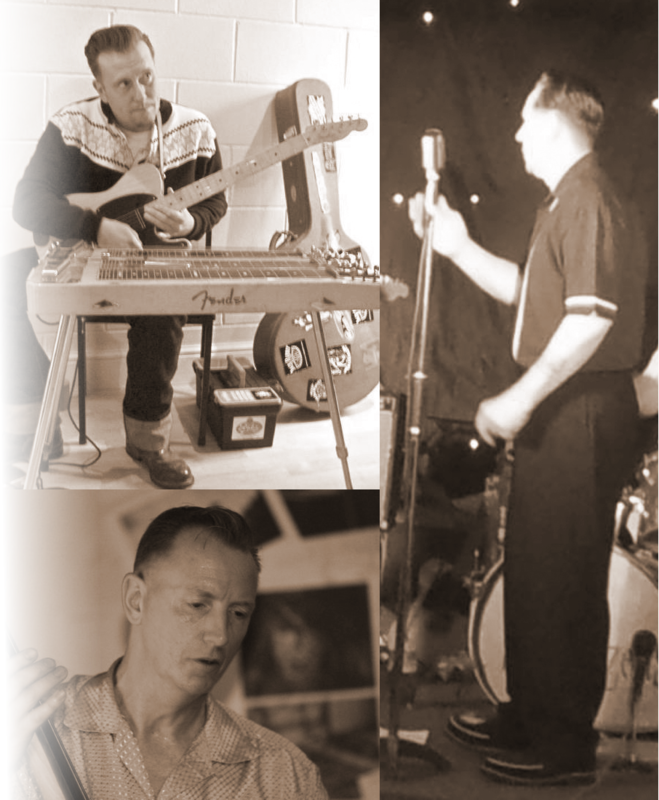 The three main musicians in the band are Volker Houghton on vocals, Darren Lince on guitar and Landon Filer on double bass. They were joined at the jam session by Paul Saunders of Jack Rabbit Slim fame on snare drum. It turned into a great session of excellent well-chosen rock ‘n’ roll/rockabilly classic covers. 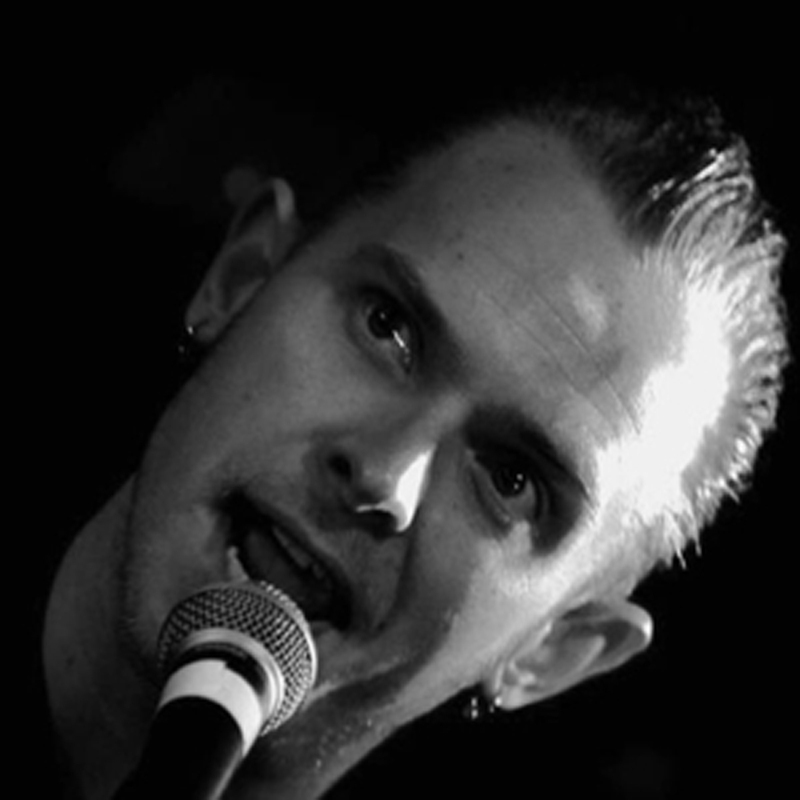 Singer/songwriter Volker Houghton’s past bands include; Stateside Slide and the Sliders. 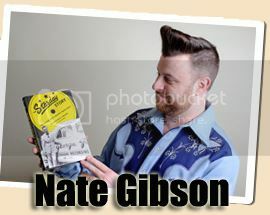 Landon Filer was in the Sliders and Jack Rabbit Slim and is now the bass player for the Hicksville Bombers. Darren Lince one time guitar player for the likes of Sugar Creek Trio, Jack Rabbit Slim and the Space Cadets is a guitar for hire (and a damn good one too). 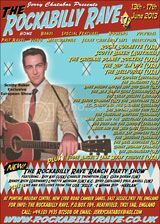 I was invited to an impromptu jam session in a chalet at the Rockabilly Rave where I managed to video 6 songs, available here in MP3 format. I keep forgetting at times that there are only three instruments on these recordings; such is the expertise and excitement the musicians put into the songs. 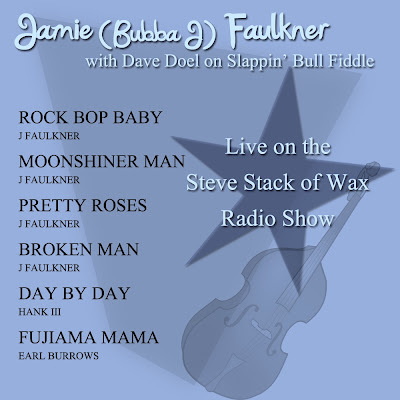 I suppose having a former Jack Rabbit Slim line-up helps, but the feel and love they have for vintage sounding rockabilly music shines through on these six tracks. Enough of my ramblings just download the songs and let your ears do the judging. Action Andy (real name Andy Rasmussen) sent me this 12 inch vinyl album back in 2009 at a time when my work changed and a move was necessary, so this platter was packed away and forgotten about at the time. But I recently rediscovered it I gave it another spin and a good listen (several listens in fact). 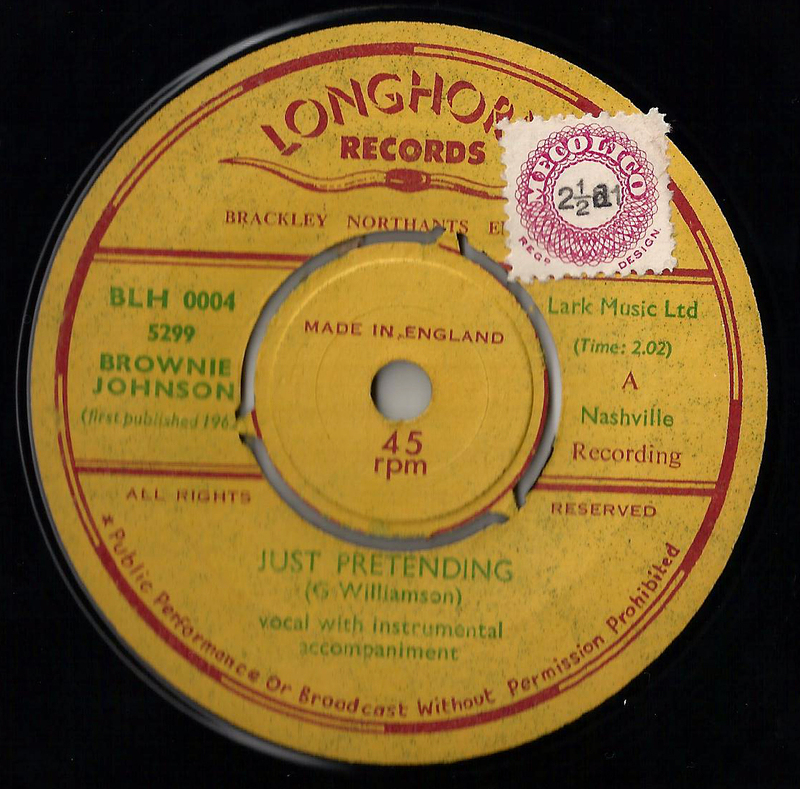 This L.P. is a little bit off-centre from the general rockabilly roots music I love, but saying that it is a very fine release indeed. I admire the fresh feel Andy puts into the recordings. 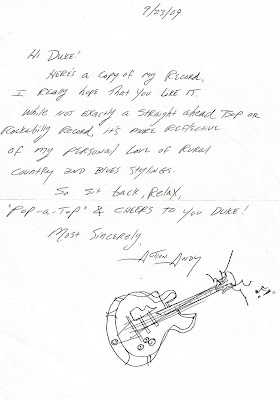 All the songs on the album are original, which Mr. Action delivers in his original take on the honky-tonk style. 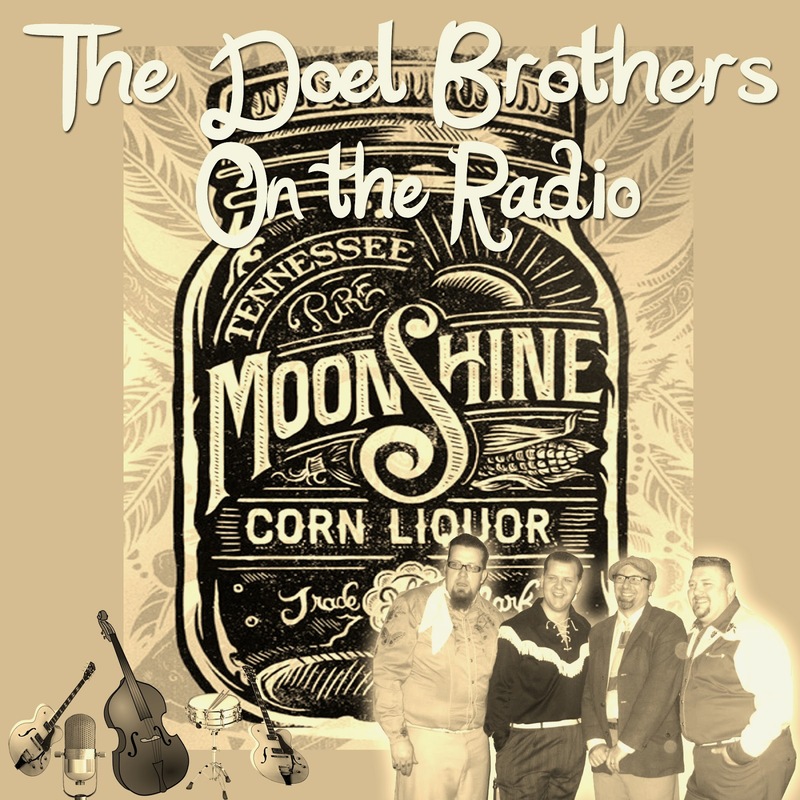 Andy digs deep into his love of rural country blues music and gives us an album of songs with that old time feel, but with a modern sounding twist! 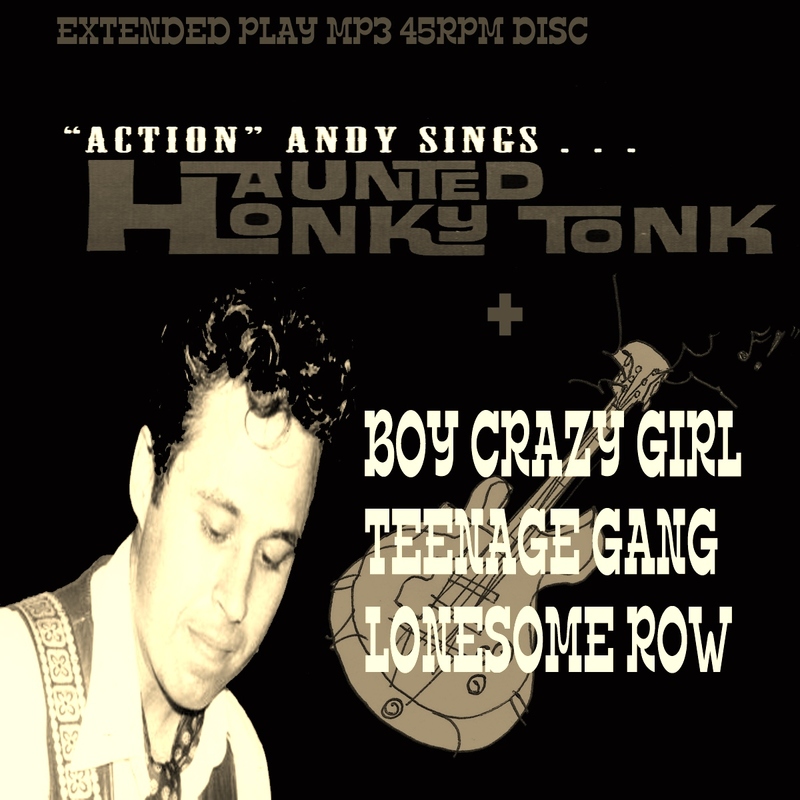 From the opening sounds (squeaking bar room doors) on the first track ‘Haunted Honky-Tonk’, to the finale 'Starry Skies', we are taken on trip through Action Andy's honky-tonk mind. Andy sings about gangs, bar fights, lost love and loose women in his own freshly delivered musical style. The musicians are of a high calibre too, with various lead guitarists ranging from Adrian Demain, Gig Fortier, and Hector Penalosa to Jerry Rigg, Matt Strachota is on lap steel and banjo, Maren Parusel on piano and Andy himself on rhythm guitar. 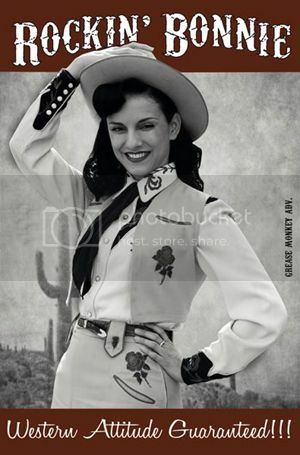 The album is a mixed bag of ballads, rockin' tunes and even a 1920’s style song, ‘Boy Crazy Girl’. 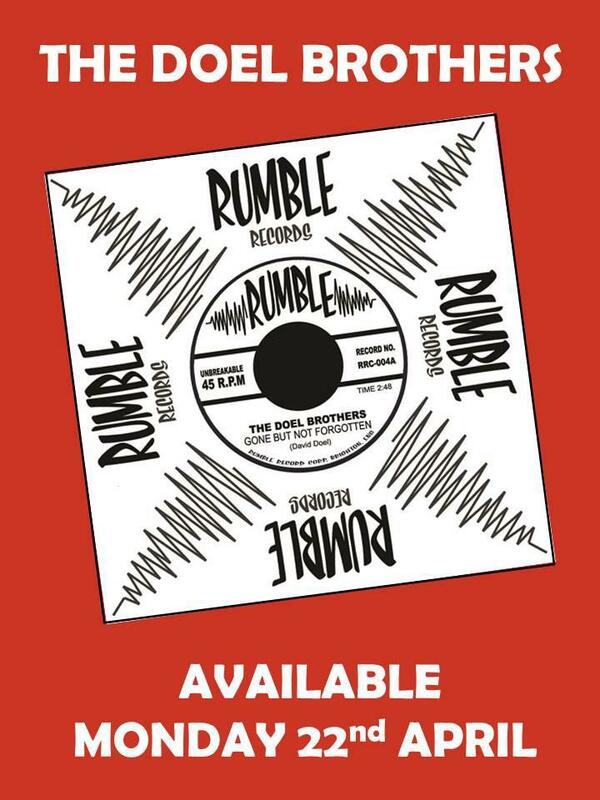 As Andy said to me it is not what you would call a straight Rockabilly or Bop album, but do have a listen to this platter it has a bit of everything going on in the grooves. The tracks above (in MP3 format) were recorded directly from the 'Haunted Honky Tonk' Long Play vinyl 12 inch Album while spinning on my 1962 Dansette record player. I think that's cool! 1) Haunted Honky-tonk - After seeing a band called the Lucky Stars a few years ago; I recalled a song they did with a very haunted minor key feel. I never heard the song again, but I thought it was called "Haunted Honky-tonk." I liked the title so much I wrote the song about lost love and local honky-tonks I rambled in my not-so-distant youth. 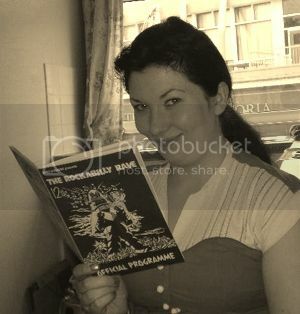 2) Boy Crazy Gal - This is a song I wrote when I was in a band called The Black Bottom Boozers, who had some very Jimmy Rodgers, 1930's dust-bowl influences. The song was about an ex who always seemed to be winking at the other fellas over my shoulders when we danced, hence "Boy Crazy Gal." Incidentally, I had the pleasure of hearing this song played on "Merseyside Radio BBC with Spencer Leigh" in 08'. 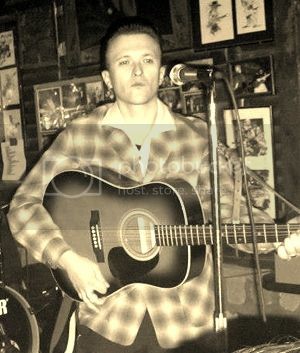 4) Lonesome Row - This was a song I enjoyed playing in The Haunted Honk-tonkers, it always got the crowd goin'. 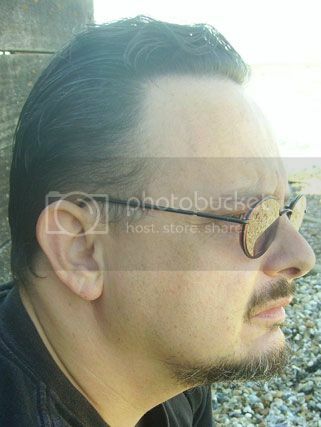 I believe I was probably listening to a lot of Johnny Cash at the time and liked the quick changes in it. 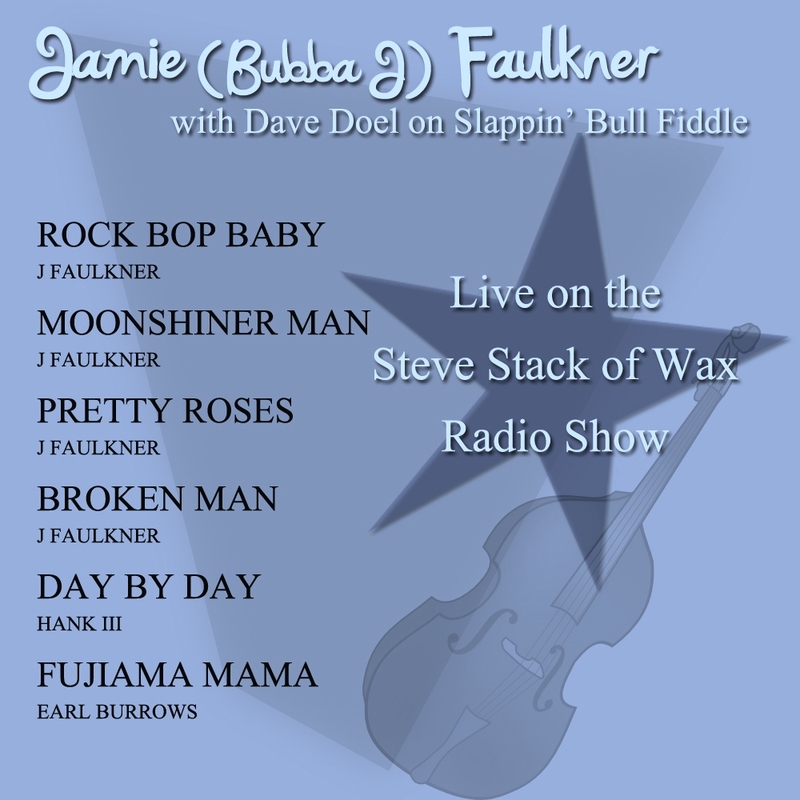 5) Ramblin' Man-My favourite Hank Williams song hands down. I remember seeing Hank III do this song and it sounded so much like Hank Sr. it made my neck-hair stand up on end. This song we performed on Halloween fittingly enough. 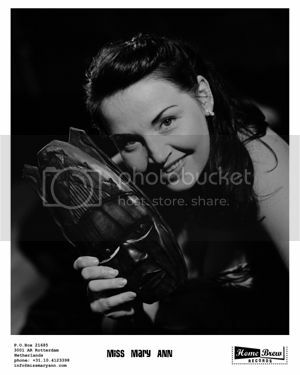 After the song I recall wiping my face from the heat of the lights, but forgot I had full zombie make-up, which smeared my face into something even Screaming Lord Sutch would cringe at. While I was a member of the Sleepwalkers (1992-02'), I had been writing original songs for years and had been planning to do an album with friends of mine. Eventually, one cold night in October of 06,' I went into a studio, dropped a mic., and sang around 21 songs with just my guitar. Over the ensuing months I brought in talented pals to play over the tracks and after saving enough $ I eventually got it pressed. 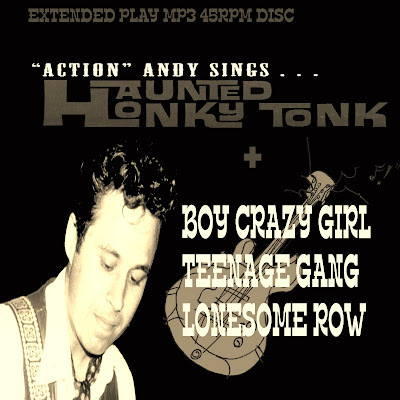 Once it was done I got a couple guys together to play the album, we were called "Action Andy & The Haunted Honky-tonkers." By the way, I think that's cool you added them to your mp3 collection.